As a theft deterrent, most all late model Honda vehicles come equipped with an immobilizer ignition system that requires a transponder key to start the vehicle. The immobilizer system is designed to prevent the vehicle from being started without the owner’s ignition key. 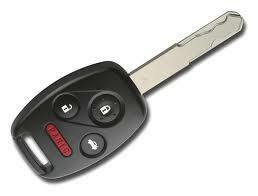 If an attempt is made to start the vehicle with any other key, the immobilizer system disables it from starting. Basically your Honda remote transponder key has a chip in it that emits a signal to the vehicles PCM computer. If the PCM accepts the signal, the car either unlocks or starts, depending upon what the driver is trying to do. This is not a key you can run down to the hardware store or the home improvement store to replace or duplicate. 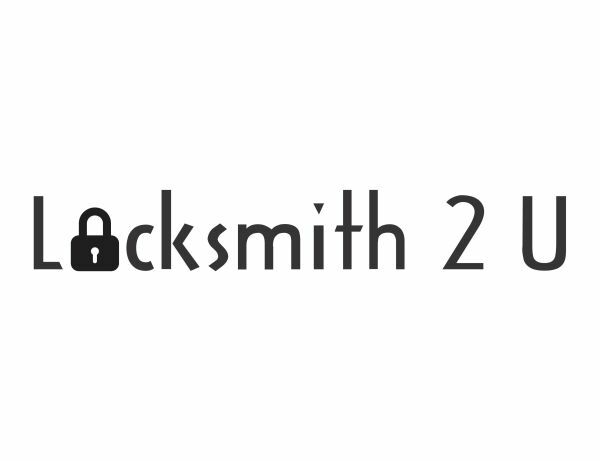 if you ever need to replace a lost key or just want a spare, Locksmith 2 u riverside can take care of you. locksmith 2 u riverside Department has the latest most advanced equipment to cut a duplicate remote key for your Honda perfectly! 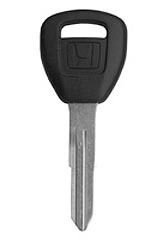 We stock ONLY GENUINE HONDA KEY'S. Made by HONDA...for your HONDA !! Our Parts Department also has programming devices that can copy the transponder chip signal to SOME applications and program a key from an existing key. This style of key is refered to as a Sidewinder key. Named because of the unique sidewinder style cut. Some sidewinder keys can be cloned by our Parts Depertment eliminating the need to run your Honda through the service department.